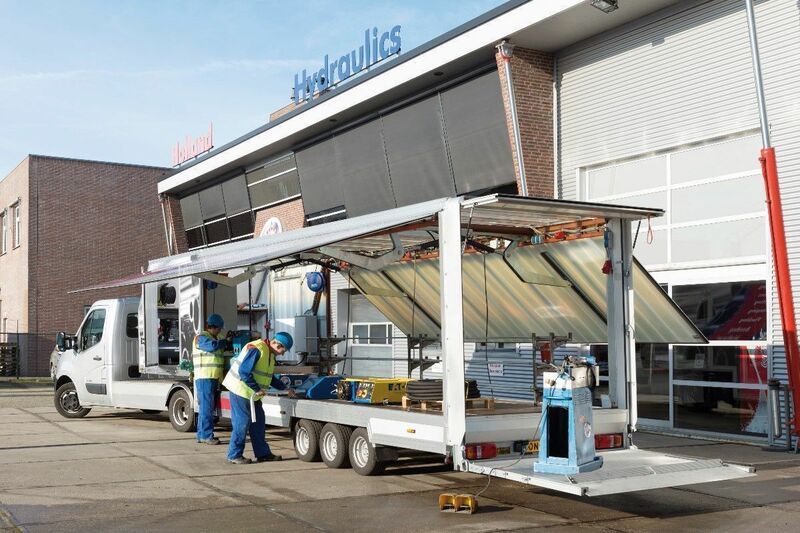 Through a highly skilled and motivated team of service engineers, we offer customers service and maintenance for hydraulic and electro mechanical systems. 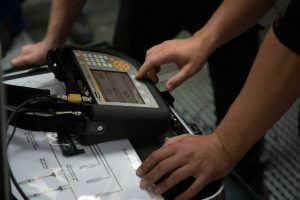 Our service engineers are fully trained and certified to operate our own equipment and carry out the necessary work on location, in a time efficient matter, keeping safety in mind and without the loss quality. We understand that any delay or downtime could have a large impact at the customer’s facility. Therefore we offer 24/7 service. The short internal communication lines enable us to respond quickly and adequately when a customer requests for service. With our “Workshop on wheels”, we are able to provide service on location, quickly and efficiently. We provide our customers with scheduled maintenance, in-house or on location. On request, the customer can obtain a maintenance contract with us. 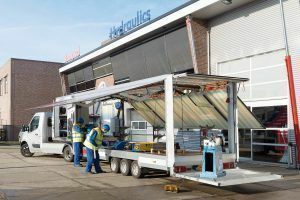 This, to ensure that the installed systems will operate at the optimum level, and that the risk of downtime of machinery and production process is minimized.